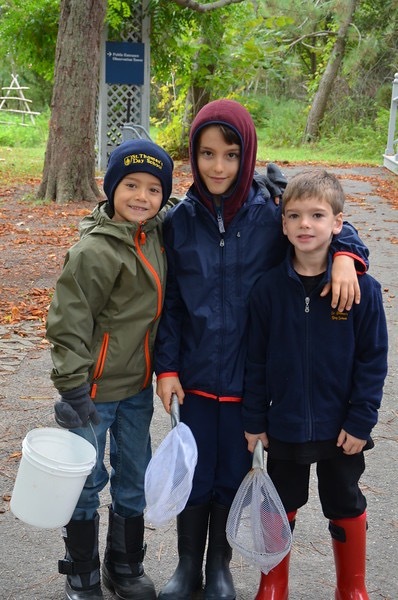 Busy Bees Giving Back Program: The spirit of St. Thomas’s Day School is rooted in the theme, “Make this a better world, and let it begin with me” to heighten awareness both within the School community and in the world beyond our School. Examples of Service Learning Projects include food and clothing drives, preparing meals for local shelters, and our all-school Penny Harvest. The Penny Harvest initiative affords students the opportunity to develop their generosity and moral character and to experience the joy of giving back to the greater New Haven community. Science Festival: The Science Festival is an annual week-long celebration of the importance of science and technology in our students lives. Students in grades 4 through 6 work collaboratively on specific science projects. The Science Festival gives students an opportunity to share and present their projects to the broader day school community. Recent topics have included sustainability of our planet, static electricity, superconductors, genome mapping and the science of optical illusions. Arts Week: A week-long celebration of the Arts is held at St Thomas’s Day School each spring. Children enjoy a variety of visiting artists and musicians as they dance, sing, paint, create, and learn together. Student artwork is showcased at different venues throughout the New Haven community. Nutmeg Book/Book Lunches: St. Thomas’s students entering grades 4 through 6 are required to read, over the summer, one of the ten books nominated for the Nutmeg Award. When students return to school in the fall, they are scheduled for a Book Lunch in the library with a small group of students in grade 4 through 6 that have read the same book. After the Nutmeg Book Lunches end in October, optional Book Lunches take place throughout the year. Students interested in discussing a selected book can sign up for the Book Lunch and engage in meaningful conversations with their peers. Bluestars Choral Group: Bluestars is a student choir comprised of children in grades 3 through 6 with an interest in singing and performing. The Bluestars perform at special School functions and for various organizations in the greater New Haven area. They have been featured performers in The Nutcracker at New Haven’s Shubert Theater! Field Trips: St. Thomas’s Day School students explore their world through an extraordinary series of field trips that are integral to our curriculum. They visit local and out-of-state museums and historical sites. Overnight trips begin in grade 3 with the tipi sleepover. Trips in grades 4 through 6 include New York, Philadelphia, and Nature’s Classroom – a week-long environmental camp. The rich field trip experience culminates with a four day trip to Washington DC in grade 6.